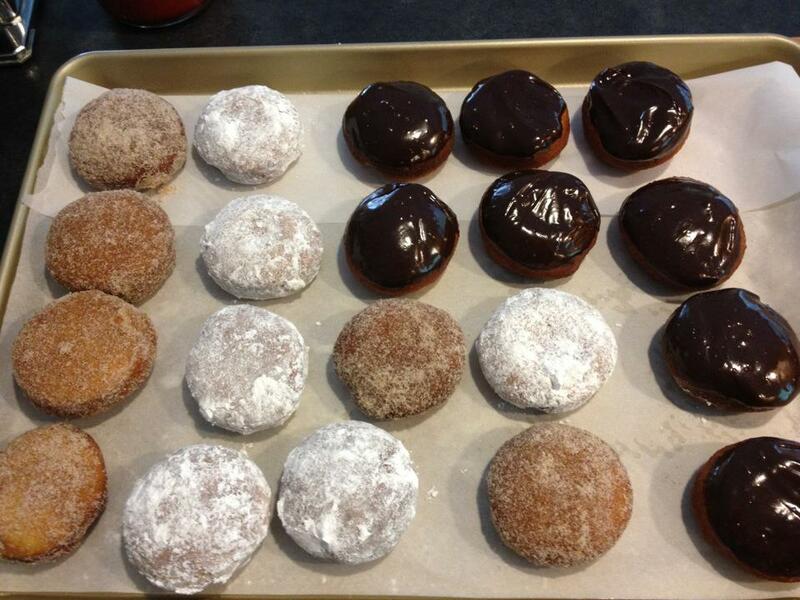 Fresh Donuts – PUT THAT IN MY FACE. 3. Lightly flour a baking sheet; set aside. On a well-floured work surface, roll out dough into 12-inch square about 1/2 inch thick. Using a 3 1/2-to-4-inch round biscuit cutter, cut out 9 doughnuts. Transfer to prepared baking sheet and cover with plastic wrap; let stand in a warm spot until they’ve doubled in height and feel poufy and pillowy, 2 to 3 hours. 5. Toss donuts in your favorite coatings: cinnamon and sugar or just plain confectioner’s sugar. If you want to dress it up, dip them in chocolate ganache.